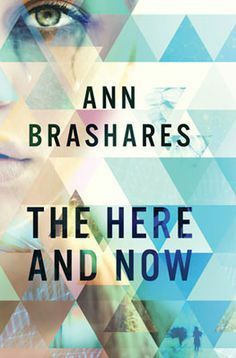 Summary: Anna is looking forward to her senior year in Atlanta, where she has a great job, a loyal best friend, and a crush on the verge of becoming more. Which is why she is less than thrilled about being shipped off to boarding school in Paris–until she meets Étienne St. Clair. Smart, charming, beautiful, Étienne has it all…including a serious girlfriend. I don’t know how to talk about this book without gushing. It was just perfect. But back to the book! Let’s start with the characters! 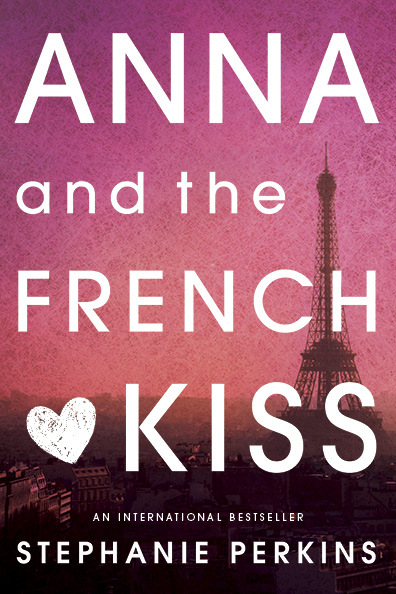 The main characters are Anna and the utterly perfect Etienne St. Clair (Who has been added to my list of fictional husbands. Just so dreamy.) and I adored them. They were well rounded and portrayed as typical teenagers with typical problems namely their parents and being separated from them and they dealt wit these problems perfectly and authentically, so just amazing. The secondary characters of Meredith, Josh and Rashimi were also wonderful and I do wish we got to see more of them. Thankfully, Josh makes his return in Isla and the Happily Ever After! The romance, however, is the best part of this book because it is described perfectly (You’ll notice that perfect is coming up a lot in this review.) The love story between Etienne and Anna is fluffy and cute but it’s also hard and awkward and everything I wan’t in life! (No really, find me an Etienne St. Clair universe!) This book perfectly captures what it feels like to be in love and I’m so sad it had to end. (The book not the romance.) Thankfully, I believe these two make an appearance in in Perkins follow up novels so yay! I would recommend this book to everyone even if you’re not a love story kind of reader. I’ve actually recommended it to a few people already! It’s so adorable and wonderful and I am gushing again. See? I said this would be a problem! Now all I need is Isla and the Happily Ever After and Lola and the Boy Next Door to magically appear on my bedside table! 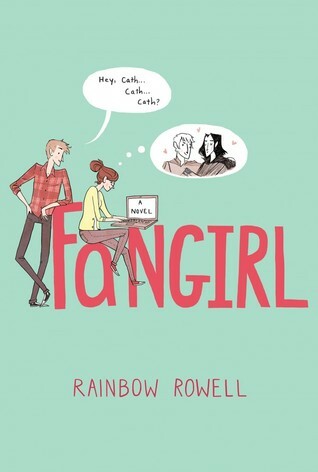 Review: I had some definite expectations for Fangirl when I started reading it, these expectations were of the fluffy and cute variety and Rowell did not let me down. However there was also a lot more to this book. Fangirl also dealt with alienation, anxiety, mental illness and parental abandonment and it did so beautifully while managing to keep the tone enjoyable and easy. The characters in Fangirl were also wonderful, with two exceptions really; Nick and Laura who I hope get slapped by someone at some point namely Cath. I adored Cath and Wren and I loved that they were so different while at the same time being so similar. Levi was adorable and Reagan was a badass and I wish to be friends with her. The friendship between Cath and Reagan is one of my favourite parts of the book and I wish we got to see more of it! 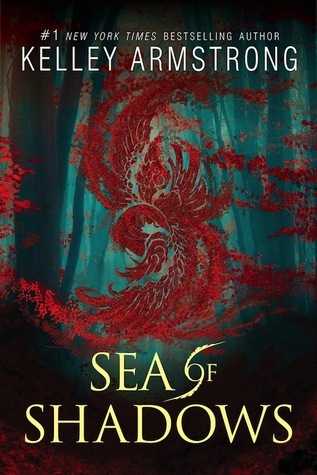 The very interesting thing about this book is that it made me want to read a fictional series so I could read a fictional fanfiction about said fictional series. Seriously. I want to read Simon Snow and then I was to read Carry on Simon. I’m legitimately sad that this is not possible. Damn you Rowell for making me want nice things! Overall, this book was beautifully written. It was sweet, charming and touching. The relationships resonated with you, it made you want to laugh and at some stages even made you a bit teary and in addition to all that it was an incredibly accurate representation of fanfiction and fan culture. Excellent. April Releases I Am Excited For! Summary: Follow the rules. Remember what happened. Never fall in love. Summary: In the Forest of the Dead, where the empire’s worst criminals are exiled, twin sisters Moria and Ashyn are charged with a dangerous task. For they are the Keeper and the Seeker, and each year they must quiet the enraged souls of the damned. About: Howard Belsey is an Englishman abroad, an academic teaching in Wellington, a college town in New England. Married young, thirty years later he is struggling to revive his love for his African American wife Kiki. Meanwhile, his three teenage children— Jerome, Zora and Levi—are each seeking the passions, ideals and commitments that will guide them through their own lives. 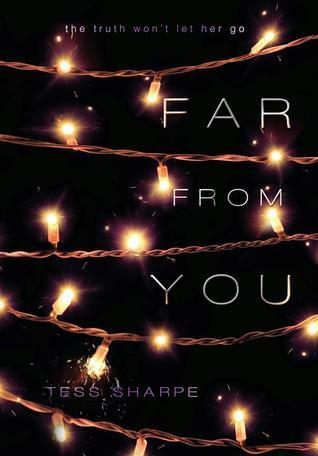 Review: I just want to say the word Flawless over and over again. Flawless. Flawless. Flawless. 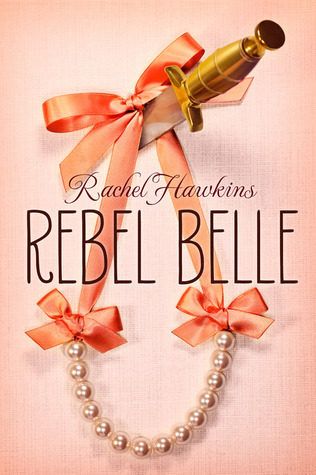 Now, I’m not the biggest adult-novel reader shall we say, I do tend to prefer YA, but I adored this novel! It’s 445 pages long but I easily could have read a few more hundred pages about the Belseys. I do find it hard to explain what this book was about, I don’t think the summary (above) was very relevant, because despite the big deal made of the feud between Howard and Monty Kipps it’s not at the forefront of the novel. It is still important and it rears it’s head every now and again but mostly this book is about the family Belsey and their struggle to remain a family when every one of them is so vastly different. And it is wonderful. The odd thing for me is that I liked this book despite not really liking any of the main characters! They are all so deeply flawed and some just downright unlikeable but I loved them anyway and it just made the novel better. The plot, is rather basic I guess, feuding families, philandering academic, teenagers trying to discover who they are independent of their families, and some of the plot points were rather predictable, like Howard’s second mid-life crisis, and Levi and the painting, but that is a testament to Zadie Smith. That she could take the mundane and make it seem extraordinary all the way through. I wanted more pages to this book. 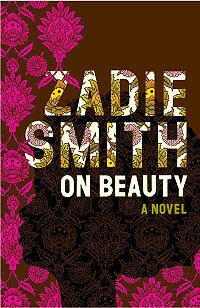 Simply put, I didn’t want it to end and Zadie Smith’s remaining novels have all been added to my TBR pile. What did everyone else think of On Beauty? 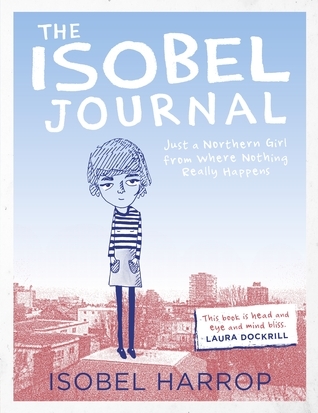 I ordered the Isobel Journal from Waterstones about two weeks ago, started reading it on a Wednesday and finished it about ten – fifteen minutes later. 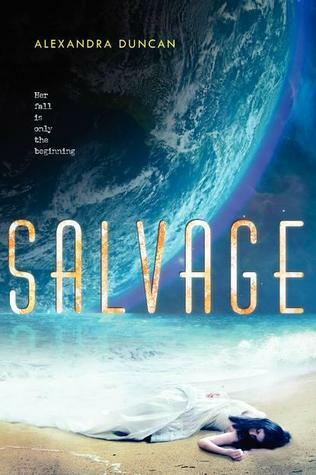 If you are expecting a novel, or even a short story, re-evealuate right now. I was slightly disappointed by the lack of words in this book, but perhaps that’s my fault, I should have done a bit more research and as I bought it online I didn’t have a chance to flip through the pages and see that I was only really paying for illustrations. That being said, I did adore this. From the few sentences that appear in the book, which include gems such as “Sometimes people look like owls and you have to capture that.”, it was breathtakingly clear to me that Isobel Harrop is my spirit animal and I want to be friends with her. And if she wrote a book, or a collection of short stories, or a napkin, I would read it. 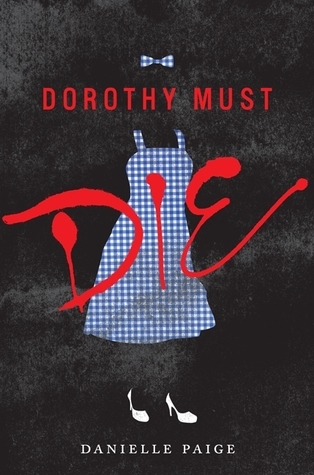 Overall, I adored this book. It’s quirky, fun and really reflects what a teenager’s (or someone in their early twenties. cough. cough) life is like. Well worth a read or look as the case may be. About the Book: When it comes to relationships, Colin Singleton’s type happens to be girls named Katherine. And when it comes to girls named Katherine, Colin is always getting dumped. Nineteen times, to be exact. Review: Now, I admit to being a bit of a John Green/Vlogbrothers fan. 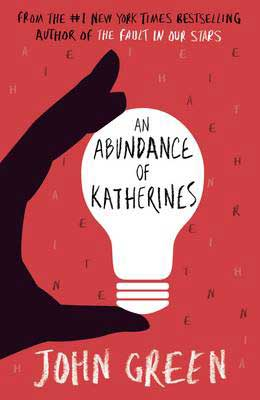 I liked Looking for Alaska, The Fault in our Stars, I enjoy the Vlogbrother videos and was definitely obsessed with The Lizzie Bennett Diaries so I had some very definite expectations for Katherines. These expectations were not met. Katherines, for me, was a disappointment. The book had potential but it never quite lived up to it due, in no small part, to the fact that the main character is just so unlikable. Colin, the child prodigy, who, like the book, hash’t lived up to his potential spends the majority of the book whining about this fact and trying to “make his mark” by coming up with a theorem to explain why some people break up with others. Again sounds like it could be interesting; it was not, after a few chapters the theorem becomes quite tiresome as does Colin. Colin’s talent for anagrams also feels a bit lifeless and like Green was trying to repeat what he did with Miles and last words in Looking for Alaska but it doesn’t work here (mostly because they anagrams are not very good anyway.) This book made me hate anagrams and footnotes! At first the footnotes at the bottom of the page were fun and entertaining but after a few chapters they just became distracting. There was also an excessive amount of math. At one point Green even promises there will be no more math. This is too a lie. It kept going. The plot as well just became incredibly slow once the road trip ends, which for the record this lasts about one chapter, and Colin arrives in Tennessee. In the end all that happens is that Colin kisses a girl not named Katherine. All of that said, the book does have some redeemable moments, namely whenever Hassan appears. Hassan is the gem of the book. He is responsible for the moments that did make me laugh out loud, all three of them. He’s also the reason why I hated the book. His friendship with Colin is very one-sided. All Colin ever does is complain to Hassan but he’s never there when Hassan needs to do the same. There is an incident when Hassan confronts Colin about this, and Colin apologises but nothing changes as a result so it makes the entire thing feel empty. Ultimately, Katherines is lacking in almost every aspect, decent plot, character development and I would not recommend it to anyone. Actually, if this had been the first John Green I’d ever picked up, I probably wouldn’t have read any others.